KATHMANDU, Jan 16: The government's failure to take a timely decision has thrown the task of distribution of the second tranche of the housing grant to the earthquake victims into uncertainty. Over 80 percent of the earthquake victims eligible for the second tranche is being deprived of it due to the government's indecision now. 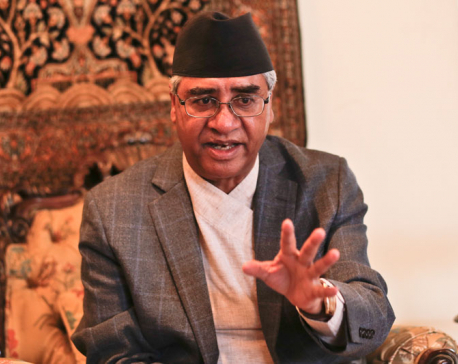 The direction committee of the National Reconstruction Authority (NRA) chaired by Prime Minister Sher Bahadur Deuba had set the deadline of January 13, 2017 to provide the second tranche of the housing grant to the earthquake victims receiving the first installment. But of the total 588,780 earthquake victims, only 115,009 victims managed to receive the second installment by the deadline. However, other 81 percent missed the deadline due to various reasons including lack of construction workers, construction materials and technical manpower to oversee reconstruction and issue recommendation for the second tranche. “As per the committee's decision, the victims who could not manage to apply for the second tranche won't get the housing grant since the deadline expired two days ago. Since the number of such victims is huge, the government needs to extend the deadline. But due to the government's indecision, the already-delayed reconstruction work is going to be further affected now,” an official at NRA told Republica. The source said that delegations of the earthquake victims from various earthquake-affected districts have been visiting NRA with the request to extend the deadline. However, the NRA has failed to convene the meeting of the direction committee and make a new decision, further complicating the grant distribution. “As the direction committee is the executive committee of the NRA, the authority can only request the prime minister for the meeting. But no efforts were made even as the deadline was approaching and the fate of the victims missing the deadline is in limbo now,” the source added. Chief executive officer of NRA, Yubaraj Bhusal said that the direction committee had set the deadline for receiving the second tranche after many victims receiving the first tranche didn't begin the reconstruction of their houses.